Also known as Geissler Burets. Capacity 100 ml. 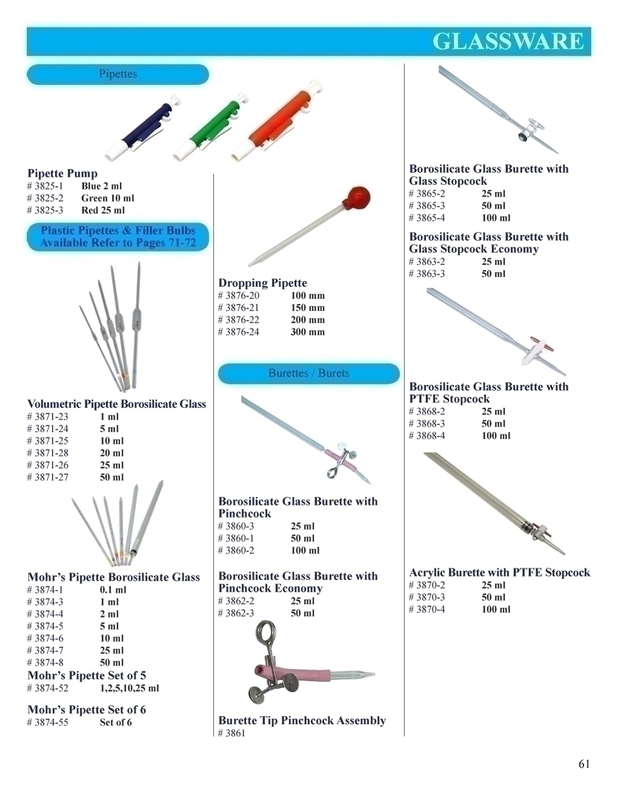 Geissler Burets. Accurately graduated, with white engraved markings, with fitted straight bore glass leak proof stopcock with capillary jet. Thick wall construction. Made from Borosilicate Glass.